I’ve been checking out some other artist’s takes on the music of Bjork, and have discovered some really beautiful tracks…Enjoy! Bon Iver and The Bjorkestra have something in common – obviously a love of this tune, which is (I think) one of the best songs on Medulla. What an angelic voice this cat has. I can totally see why Bjork loves The Dirty Projectors…they really got their own thing happening and give “Hyperballad” an added dimension. Robert Glasper is one of my favorite jazz pianists, and this is a lovely cover of “Joga” – my most favorite Bjork song of all time. Thom Yorke takes “Unravel” to another place. Great vibe! I’ve never heard of Further Seems Forever – but they sound great – kind of like if U2 covered “Pagan Poetry” don’t you think? How to Translate English Phrases Into Mathematical Symbols. Over time, the symbols and formulas used to describe mathematical expressions such as addition, multiplication, subtraction and division have been added into our social lexicon under the guise of their literal English forms. The concept of addition, for example, is expressed with the words… russian language translator Прочитайте отзывы, ознакомьтесь с пользовательским рейтингом, просмотрите снимки экрана и узнайте больше о Armenian Keyboard For iOS6 &amp, iOS7 в App Store. Загрузите Armenian Keyboard For iOS6 &amp, iOS7 и используйте это приложение на iPhone, iPad или iPod touch. 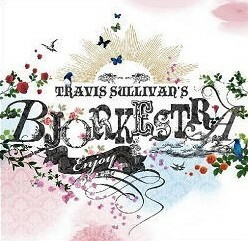 Next month, Bjorkestra creator Travis Sullivan will travel to Sweden to conduct The Bohuslan Big Band for a series of five concerts, performing his original arrangements of the music of Bjork. The program will also feature Swedish jazz singing sensation Lina Nyberg, who has written big band arrangements of Bjork’s “Bachelorette,” “Five Years,” and “Oceania” all of which willl receive their premieres during these performance. For more details about the tour, visit our the Bjorkestra Calendar Page!